-THSRA Region X State Qualifier in Barrels in 2010 and 2011. 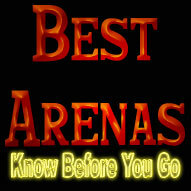 -Placed 5th overall in THSRA Region X 2010 in Barrels, 8th Overall in 2011. -CTBRA Open Top Ten 2009. -Has won over $5000, 4 saddles and 14 belt buckles. I am going away to college and will not have time to barrel race anymore! He is still a winner and I would love to see someone win with him! SILK STOCKIN GIRL - "Silky"
I have "Silk Stockin Girl" listed and I have sold her! Thanks! Beautiful finished barrel horse. He has alot of heart, runs 1D-2D times. Great in poles too, runs 21-22. Would be a great High School or step up horse. He is queit in alley, loads, trims, stands all day at trailer, not aggressive in pasture. Can be double registered to APHA. Hi tamet I have sold Tico pico pie and the platinum trailer you can take them down now! Thanks for everything! 6 Yr old Gelding Royalty Runs Six lopes barrels and poles. Tracks the hot heels. You can swing a rope on him. Loads trims and ties great. Current coggins and has had his teeth floated. Sign De Fly is a 2D barrel horse. Easy to haul and easy keeper. Jay is a 15 year old bombproof barrel, pole, and goat tying gelding. If you are looking for a wonderful, solid horse, this is him! Safe for any age rider and will only go as fast as you ask him. Has absolutely no bad habits and is in great health! Jay is a 2D barrel horse and runs consistent 22 second pole runs. If you want something safe for your child or you are looking for a solid horse for yourself, Jay is the one for you! Our daughter has just outgrown his level of competition or we would not be selling him. I can assure you, you will not be disappointed with this horse! 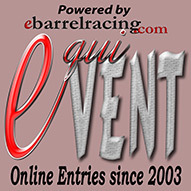 To View all the for sale on www.ebarrelracing.com, check our For Sale page.